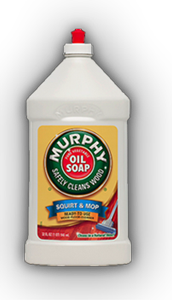 If you have dark hardwood floors like me, then you will know that they can get disgustingly dirty. They show every spec of dust, dirt, where you walk, food splatters and pet hair. When we bought this house it was a dream to have dark hardwood floors. Little did I know how high maintenance they are. To the point that it can be frustrating. You mop and 30 minutes later they are dirty again. For cleaning you HAVE to have a vaccuum that has a "no crumb kick back." This was super important to me because even though I would vaccuum there still would be junk all over the hardwood and you can feel it with your feet. My mother in law was sweet enough to hand me down her Oreck XL and it works like a charm compared to everything I've ever had in the past. This stuff is all natural and does add a little natural shine back into it. For my mop, I've been super picky. Some microfiber mops pads were really hard to push on the hardwood for some reason resulting in a full on workout and me dreading mopping. 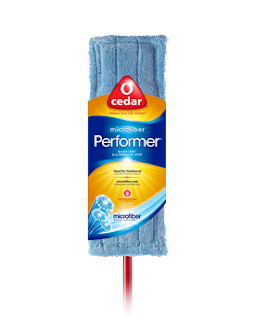 Ideal for hardwood floor cleaning, this mop really performs! And with features like microfiber technology, you can get an effective and easy cleaning experience damp or dry! LOVE it. It slides easily over the floor plus has little scrubby strips that are gentle. *Equal parts Olive Oil or Vegetable Oil with white vinegar in a spray bottle. *A little bit of lemon juice for a fresh scent. --After you have finished the whole floor go back over with a towel to rub in more and take the slickness away. I did this while walking and scooting on the towel so that my foot prints weren't all over the floor. And thats it! My floors were a lot shinier than they were! 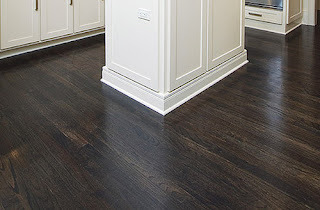 Wow, must try this homemade hardwood floor polish. Cleaning can be a tough job. You need a lot of patience and effort to keep things clean and tidy at all times. But thanks for your tip, people can look for this stuff to make their floor clean and shiny. At the very least, they know that these have been recommended by a fellow customer. Cheers!